Currency printing machine was upgraded to latest PLC, Drives, HMI’s and Safety Standards for The Canadian Bank Note Company. 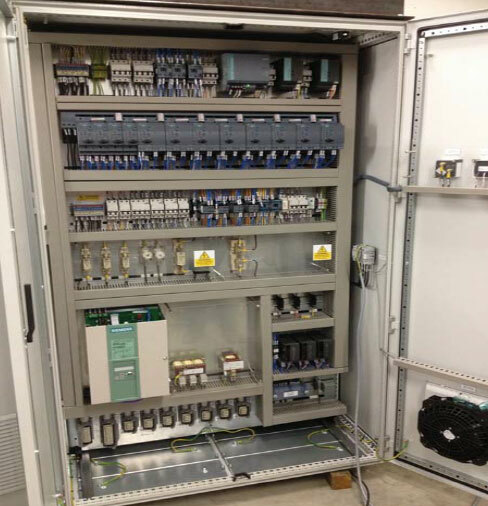 The latest Siemens DCM used to control 37Kw main DC drive motor. Software Design for PLC, HMI and Safety and DC Drives. Functional Safety achieved using Siemens MSS with speed monitoring of the main drive.